Sustainable technologies like wind and solar get a lot of press coverage, but when it comes to satisfying the world’s almost insatiable appetite for energy, nothing today beats energy efficiency, says Johan Samuelsson, Vice President, Trane Middle East and Africa. While the efficiency of commercial buildings has improved significantly in recent decades, the building industry has only begun to tap the energy reserves trapped in underperforming facilities. There is a wide range of groundbreaking innovations in high-performance building technologies, operating practices and intelligent building services available today that will create better, healthier, more comfortable and more productive indoor environments in the years to come. 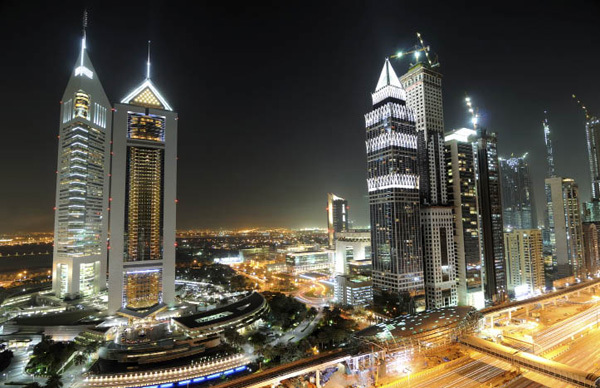 Buildings account for a significant portion of Middle East energy consumption. Building owners can reap benefits by adopting these technologies and principles. New technologies and improved energy-efficiency practices enable commercial buildings to achieve higher levels of energy efficiency, better overall performance, lower lifecycle costs and a smaller environmental footprint. Numerous sources, including the US Green Building Council (USGBC) and European Union Institute for Energy and Transport (IET), say that high-performance buildings use 20 to 30% less energy and cost as much as 50% less to operate over their full occupied life, compared to conventionally equipped and operated buildings. More energy-efficient building systems and the use of a wide range of energy conservation measures have helped drive down the energy intensity of commercial buildings by 18.5% over the last three decades, according to the US Department of Energy. But the inventory of existing buildings has just scratched the surface, when it comes to realising the full potential of energy efficiency to help reduce global energy consumption and our environmental impact. Just as significantly, building owners and operators are starting to recognise that better-performing buildings are assets that help organisations accomplish their missions, and, most important, financial and operational goals. They create better, healthier, more productive places for people to work, learn, teach, live, heal, shop, stay in and visit. For the foreseeable future, the greatest energy, operating and service performance-improvement opportunities can be found in the world’s inventory of existing buildings. These buildings represent an attractive target for efficiency improvements because they account for about one-third of the electricity consumed, according to the US Environmental Protection Agency (EPA) and Energy Efficient Buildings Private-Public Partnership, and generate about 18 to 20% of greenhouse gas emissions. 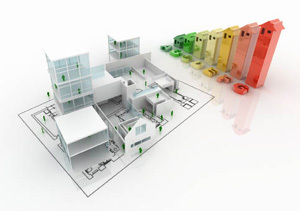 Energy retrofitting of European buildings would yield an estimated 20 to 50% improvement in energy consumption, reduce greenhouse gas emissions by more than 12% and create more than three million jobs, according to the European Buildings under a Microscope report, prepared by the Buildings Performance Institute of Europe. Continuing improvements in the economy will likely cause organisations to resume historic levels of capital investment. This includes spending on new construction, building additions and HVAC system retrofits, provided that building owners can achieve an acceptable rate of return on their investment. The expanded capabilities of building-modelling software make it easier to analyse and predict the long-term impact of choosing high-performance building alternatives during the design and construction phases. Meanwhile, the “green premium” is shrinking; the USGBC estimates that the incremental cost of choosing high-performance building features ranges from 0 to 6.5%. Trane has found that the cost of implementing energy conservation measures is recouped many times over a building’s long occupied life. For example, replacing outdated lighting fixtures, lamps and controls offers one of the best rates of return on investment, often paying for itself in three years or less. Rapid improvements in LED lighting technologies promise to extend the opportunity for improvements. Evidence continues to grow that better-performing buildings yield better-performing organisations. For example, research by Michigan State University shows that workgroups moving into LEED-certified buildings achieve higher levels of productivity. A CoStar Group study has found that commercial buildings with Energy Star or LEED credentials commanded premium rents, enjoyed higher occupancy rates and sell for higher prices on the open market. A study by the Building Commission of Victoria, Australia, has found that worker productivity can be enhanced by about 30% with an optimal indoor environment. Organisations of all kinds are under extreme pressure to do more with less – less budget, fewer resources and a smaller staff. Building automation systems, which are key enablers of optimal building performance, automatically perform tasks that used to require human intervention with the intelligence to optimise results. Wireless communications technology, applied in these systems with open communications standards, will prove to be a breakthrough in improving controls and energy optimisation in the commercial existing building market. Sensors embedded in mechanical systems will provide critical data used by intelligent service programs to analyse, predict problems and take corrective actions with building HVAC equipment, which leads to improved reliability, extend equipment life and efficient operation. 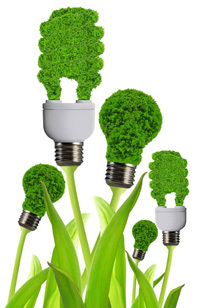 Environmental performance goes hand-in-hand with energy efficiency. Exact rules, reporting requirements and milestones are up in the air in many jurisdictions. However, it is a sure bet that organisations of all types will be compelled to comply not just with more stringent national, state and local regulations but also with higher expectations from customers, shareowners, employees and the community. The world of indoor climate solutions has changed dramatically over the course of the last century, due largely to technical innovations that make buildings better and help owners and operators accomplish their missions and achieve their most critical goals. No doubt the next century will bring about innovations that are every bit as impactful as the convector radiator, turbo-vacuum compressor, unitary air conditioning and building automation controls. The biggest leap forward in building efficiency will come not only from improving the performance of individual systems such as HVAC, mechanical, lighting and access control, but it will also come from enabling all building systems to operate in harmony. Advancements in control technology, wireless communication and the continuing move to common operating systems will enable unprecedented interoperability of key building systems and allow more sophisticated building control strategies. Innovative HVAC approaches will grow in popularity as the drive to reduce energy consumption continues. Examples include geothermal heat pumps, thermal storage, modular HVAC systems, ductless air conditioning and others. Performance of even the best-designed and operated buildings degrades over time, according to researchers at the Lawrence Berkley National Laboratory (LBNL), who advocate continuous monitoring, fault detection and diagnosis, and commissioning to keep buildings operating at their original design performance (ODP) levels. More organisations will adopt commissioning, re-commissioning and continuous commissioning strategies to help realise the full value of their high-performance building investments. The move to intelligent services and predictive maintenance models will accelerate as building owners and operators strive to improve reliability, reduce operating costs and do more with less. Intelligent services combine technology, access to unprecedented levels of data and sophisticated analytics to continuously collect, interpret and act upon data from building systems and controls to optimise operational performance. Sensors and smart controllers built into HVAC equipment and connected to the web will fuel this sophisticated data analysis. Intelligent analytics will be able to study equipment usage patterns and learn from past experience. With capable service partners, building operators can focus internal resources on other priorities and reduce challenges associated with a shortage of qualified HVAC specialists. Building modelling and analysis software has come a long way since its introduction during the energy crisis of the early 1970s and the science of modelling continues to advance. Features enable building owners and their energy services partners to compare the impact of various choices and use net present value (NPV) based cost analysis, which provides a more realistic picture of the total savings that energy conservation measures will generate over a building’s lifecycle. Modelling also helps designers accurately match building system capacity to anticipated requirements. The new generation of building occupants – including the tech-natives born in the information age – has different expectations than their older colleagues. They expect to interact with building systems using their smart devices, for example, changing the way the building industry thinks about user interface. They want to work flexible hours, access data remotely, put a premium on personal time and work for organisations whose values – including environmental values – they share. All of these things have implications for building owners and operators and the systems they choose for their buildings. Better communications with utilities will enable building operators to take advantage of the best available rates and use thermal storage and other technologies to shift cooling load to off-peak hours. Advanced control systems share data openly between building systems and utilities to enable these capabilities. Energy companies will find new ways to go to market. For example, instead of selling hardware, original equipment manufacturers may offer their customers the opportunity to buy “occupant comfort” and charge a monthly fee to supply whatever combination of products and services are necessary to keep building occupants comfortable. The combination of automated controls, wireless communications and more sophisticated electronic sensors will make it easier for operators to personalise comfort settings for individuals and reduce energy costs by avoiding cooling or heating vacant areas at the same level as occupied ones. Water scarcity is likely to become one of the pivotal environmental concerns of this century, and HVAC system providers will no doubt be challenged to develop systems that operate with less water. Like manufacturers of other kinds of equipment, HVAC companies will need to thoroughly examine their products’ environmental end-to-end footprint, from design through disposal. Many of tomorrow’s high-performance buildings will generate some or most of the energy they use onsite, often using alternative generation methods such as solar, wind or fuel cells. An alternative to large regional power plants, this distributed generation model enables buildings to sell any excess power they generate to the public power grid, realising the potential of a net-zero building that creates more energy than it consumes. The demand for energy in the developed and developing world continues to grow exponentially, with no end in sight. Finding sustainable energy solutions is a complex problem. Solving it will require us to continue to develop safe and efficient methods to find, develop and produce fossil fuels while also exploring alternative forms to generate energy. It is impossible to overstate the importance of energy efficiency in the equation. Tapping into the energy reserves trapped in underperforming buildings can take us a long way towards ensuring that the needs of an energy-intensive world are met.